With the #metoo movement in full swing and many countries beginning to introduce innovative policies in hopes of eliminating sexual misconduct in the workplace, a newly released Prospect union report has revealed that a third of women in Britain still report that they have experienced sexual harassment at work. 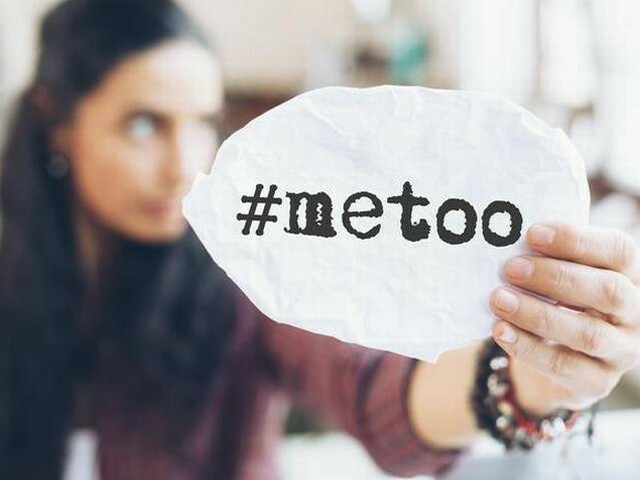 Why has seeming progress in the discourse of sexual harassment as well as its public condemnation failed to substantially decrease such workplace culture and furthermore – what can be done to create fast and lasting change? Almost two years ago, the Trade Union Congress released a report titled ‘Still just a bit of banter?’, where it outlined the urgency to eliminate the brushing off of very serious sexual offences against women as humorous and unharming office behaviour. “It may seem like a joke or even a compliment to those who have never experienced it – but those who have will know just how undermining, humiliating and sometimes terrifying it can be.” Writes TUC’s General Secretary, Frances O’Grady, in the report’s opening paragraph. Two years on and with several sweeping victories for women’s rights and equality the world over – the public speaking out of thousands of women against abusive men, Ireland’s abortion referendum, Northern Ireland’s current fight for a similar abortion reform and Iceland’s new law that ensures employers will be fined for gender pay gaps are just a few examples – the Prospect report shows a much darker reality. 7,000 men and women from various work sectors participated in the study, which showed that 35 percent of women disclose that they had experienced various types of sexual harassment in the workplace, with that number close to doubling to 62 percent for women under the age of 30. Crucially, what both reports desperately highlight – with little improvement over the past two years – is that most vulnerable are women in precarious low-paid jobs, such as zero hour employment or agency work. The type of work that more often than not does not have unions behind its employees and most urgently, gives no structure nor security for its employees to report sexual harassment. Such environments are rife for the silencing of abused women who fear for the security of their work over their rights as citizens, as employees – as women. As unions grapple with the sheer volume of sexual misconduct in the workplace, one of the most challenging steps they face is increasing the number of complaints filed through. Currently a meagre 1 percent of women have reported their abusers to unions according to Safeline, a sexual abuse prevention and support charity. It might be strenuous to spot the subtle cases among international headlines that scream progress, but it is up to each one of us to keep working towards eliminating the everyday culture of sexual harassment – on all scales and from all places. US Supreme Court has enabled Republican states to pursue and expand voting policies that discriminate against the poor and minority groups. What can we do? More than 200 million women and girls have been cut in 30 countries in Africa, the Middle East and Asia, where FGM is concentrated. As the Trade Union Congress celebrates 150 years in the U.K., it is tackling a generational pay gap that has increased by 50% over the past two decades. The fall of the Popular Party Government in Spain, through a vote of no confidence, could have marked a significant step in the right direction. Young Nigerian activists inspired millions of youths across Africa who have been struggling to get to political office while battling old boys' networks. Poppy farming in Afghanistan damages the fabric of the Afghan society and its economy.